"Your professionalism and rapid response time were superb! Extremely impressed. You really cover it all and the app was fabulous too - we all used it. We can't wait to rent again with you and make our family Montana vacay an annual event! !! " Just 8 miles from West Yellowstone's entrance to Yellowstone National Park. Stunning views of Lionhead Mountain and surrounding peaks. 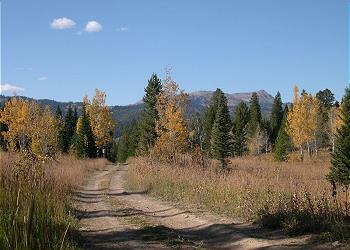 Walk to Forest Service trails or make a short drive to Hebgen Lake and to fishing on area rivers. The lodge offers wireless Internet access that may be limited. 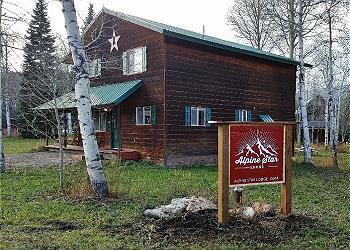 BRIEF DESCRIPTION: The Alpine Star Lodge is a beautiful home just minutes from West Yellowstone, making it a great place to come back to after exploring Yellowstone park. It’s just 8 miles to the park entrance, is surrounded by national forest trails for hiking, mountain biking, and snow snowmobiling and it’s a short drive to a quiet cove on Hebgen Lake. With 1,727 square feet of living space, a beautiful dining room table and plenty of bedrooms this home can comfortably accommodate a larger group. 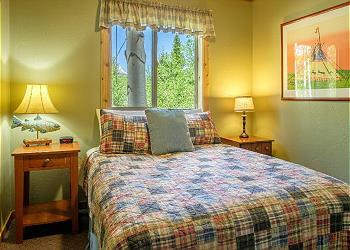 BEDROOMS AND BATHS: The lodge has five bedrooms and three baths. 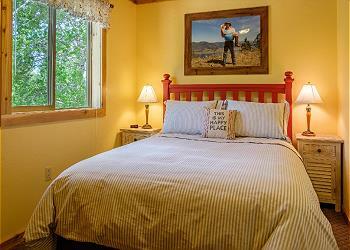 The main level bedroom has a queen bed and access to the main level bathroom. The upper level has four bedrooms, three of which have queen beds and one with a California King. 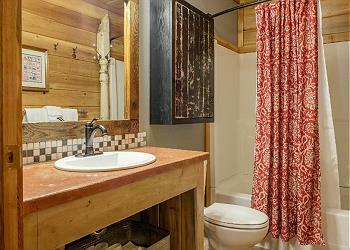 There are two bathrooms on the upper level unattached to the bedrooms, one with a tub and one with a shower . KITCHEN: This home has a nice, bright kitchen that will have everything you need for your stay including appliances such as a crock-pot, blender, microwave, dishwasher, toaster and more. DINING AREA: The large dining table seats ten comfortably. There are also two picnic tables outside off of the deck to sit at and enjoy the outdoors after grilling dinner! LIVING ROOM: The cozy living room has a flat screen HD TV with satellite service and comfy leather seating. Your group also has access to games and DVD movies after a day of exploring. There is a Bose stereo. 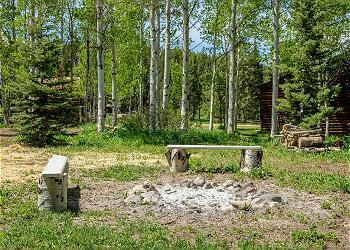 SETTING, ACREAGE, AND VIEWS: Alpine Star Lodge is in a woodsy vacation home neighborhood about 8 miles from West Yellowstone, which is the West entrance to Yellowstone National Park. 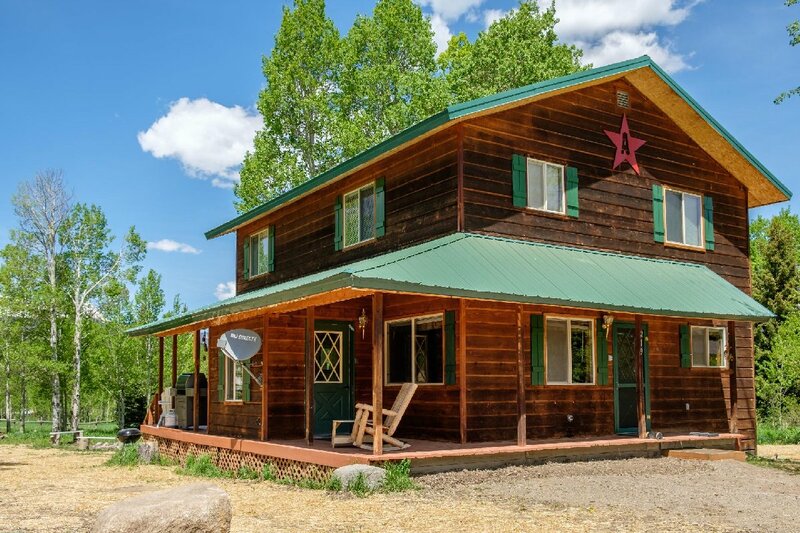 It sits on one half acre and enjoys incredible views of Lionhead Mountain and other peaks along the Continental Divide. You’re likely to see elk, moose and maybe even a bear in this beautiful wild area! OUTDOOR AMENITIES: Decks on two sides of the house provide room for enjoying coffee in the morning sunshine and then sunset over the mountains. CLOSEST TOWN AND AIRPORT: You are 8 miles from the town of West Yellowstone, 90 miles from Bozeman’s Gallatin Field Airport and 110 miles from Idaho Falls, Idaho. ACTIVITIES NEARBY: In winter, you can snowmobile right from the house and get onto hundreds of miles of groomed snowmobile trails. If you prefer Nordic skiing, West Yellowstone’s Rendezvous Trails are a short drive away and you can explore Yellowstone Park by snowcoach. In summer, there’s hiking and mountain biking right out the door, fishing on blue ribbon streams, boating on Hebgen Lake and of course – day trips into Yellowstone Park. **Rates below are for seven night stays. Reservations for as short as 3 nights are accepted at most homes. You can use the chart at the upper left to get a quote for your desired dates, or we invite you to call us at 800-550-4589 to visit with one of our reservationists. This house was perfect! My family loved staying here. We had 7 adults and 2 kids and more than enough room for everyone. It had everything you could think of and need. The fire pit out back was a great place to make s’mores and chat in the cool evenings. The House was so cozy with wooden accents and comfortable furniture. 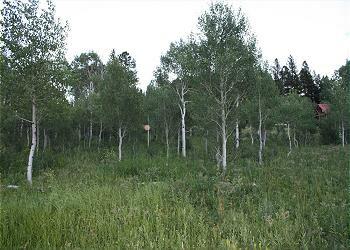 The location was perfect as well - so close to the west entrance of Yellowstone and close to town as well. We will definitely stay here again!! Nice house, quite street. Great yard with fire pit. (Although was snowing and too cold for us wimpy Californians to sit outside and use) house is well stocked with all the basics. They were great to work with! Absolutely no complaints, except we should have stayed longer! It is a little tricky to find the street you turn off on, kinda sneaks up on you. Just watch for the KOA campground. Not to far from town, park. We even had our own herd of 5 deer in the yard one night. Will stay here again next trip to Yellowstone! Thank you for your great review of Alpine Star Lodge and Mountain Home Vacation Rentals! We are very glad your group enjoyed the home and the local wildlife! We hope to see you again in the future and maybe for a longer stay! We loved our stay at this cabin. It was comfortable, roomy, and so homey. We had two adults and five teenagers, and this house fit us very well. 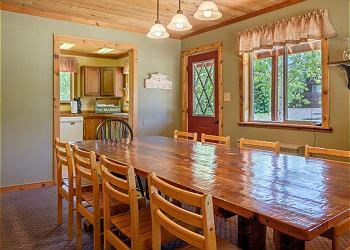 The big kitchen table was perfect for eating and lots of games afterward. I particularly loved how well stocked the kitchen was: tons of plates, bowls, silverware, pans, serving bowls, everything I needed. I made spaghetti one night, and I was delighted to find that there was actually a pot big enough to cook the pasta, and another big enough for the sauce. That isn't always the case in rental homes! This home is close enough to Yellowstone that we were there in just minutes. We will definitely be staying here again. Peaceful place with more than required things. Beautiful and kept clean. 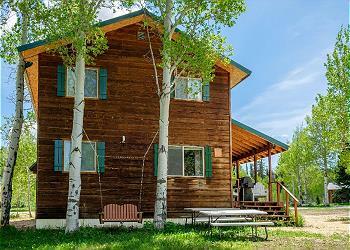 Price is also good for 10 people compared to all other places in west Yellowstone. Thank you for your review of Alpine Star Lodge. We are happy you had everything you needed for a restful vacation and enjoyed the property! Let us know whenever you are ready to plan another trip to Montana. We would love to have you as our guests again! Great accomodations. Bedrooms and bathrooms nicely done, comfortable beds.Kitchen stocked with everything we could need. Perfect for a large family or multiple families. Thank you for your review of Alpine Star Lodge and Mountain Home Vacation Rentals! We are glad you found all you needed during your stay as we strive to provide well equipped and comfortable homes for every guest! We hope to see your group in the future! Only was able to stay 3 nights , spending most of the time in Yellowstone. 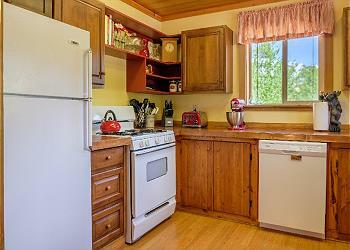 The house was clean, decorated cute, had all the supplies needed for cooking, grilling, etc. no issues with booking. Very roomy. It was peaceful, being away from the town and we felt very comfortable here. Great stay!! 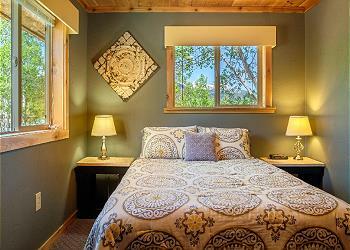 Thank you very much for your review of Alpine Star Lodge and Mountain Home Vacation Rentals! We love to hear when our guests enjoy one of our properties and that the home was well equipped and comfortable. Give us a call whenever you are ready to book another trip, we would love to have you as our guest again! We loved the comfortable beds and the fact that the cabin, especially the kitchen, was well stocked with anything we might have needed. We are very glad you found all you needed for your stay and that the home was comfortable! We are always happy to hear that our guests have enjoyed our properties! Thanks again and we hope to see you another time! Need more information? Have questions? We’d love to hear from you! Your request has been sent We'll take a little time to review your preferences and get back to you with some thoughtfully selected options - ones that will make you wish you were headed to Montana tomorrow. We've been planning amazing Montana vacations for over 20 years. We hope you'll be our next guests. We're LOCALS so we KNOW Montana! No cleaning charge; it's complimentary. No need for a security deposit.